Jingshan Sanlei Heavy Industry Co.,Ltd. 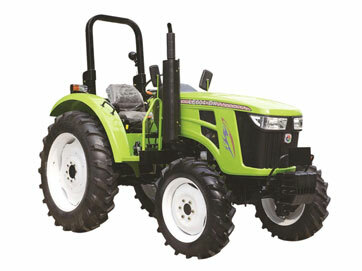 Jingshan Sanlei Heavy Co.,Ltd.which located in China southern agricultural equipment industrial park,is a large-scale modern agricultural machinery enterprises that specialized in large,middle and mini tractors and all kinds of agricultural implements’s research and development,production and sale.The company registered capital is 77 million yuan, and with more than 250000 square meters floor area and 100000 square meters building area. Rely on more than 10 years industry experience, the company invests in a high starting point: with invest 22 million yuan in the plant infrastructure,the factory have built 5 large-sized workshop;with the support of the local government,introduced 3 high and middle horsepower tractor full-automatically intelligent production line with huge investment,which integrated multiple factors,such as,science and technology intellectualization,tractor assembly process standardization and quality test generalization,etc.That has become the leading large-scale high intelligent tractor production line in domestic,and it marks another leap in domestic tractor technology. 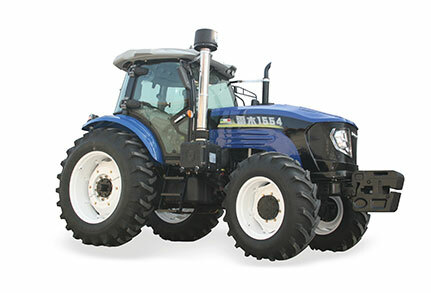 Company's main "LeiMu" series wheeled tractor, the production of high-horsepower wheeled tractor in reference to domestic and foreign similar products on the basis of advanced technology, combined with the actual situation of our country agricultural independent innovation to develop a suitable for China's farmers for industry needs the latest products. 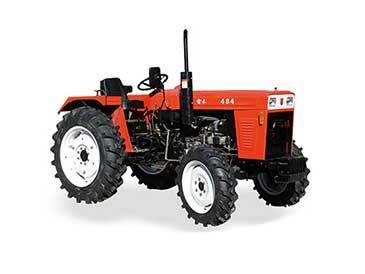 The small and medium horsepower wheel tractor has been updated with many new models, and has been popular among farmers all over the country because of its structure, stable performance and wear resistance. Jingshan Sanlei Heavy Industry Co.,Ltd.which located in China southern agricultural equipment industrial park,is a large-scale modern agricultural machinery enterprises that specialized in large,middle and mini tractors and all kinds of agricultural implements’s research and development,production and sale.The company registered capital is 77 million yuan, and with more than 250000 square meters floor area and 100000 square meters building area. Rely on more than 10 years industry experience, the company invests in a high starting point:with invest 22 million yuan in the plant infrastructure,the factory have built 5 large-sized workshop. 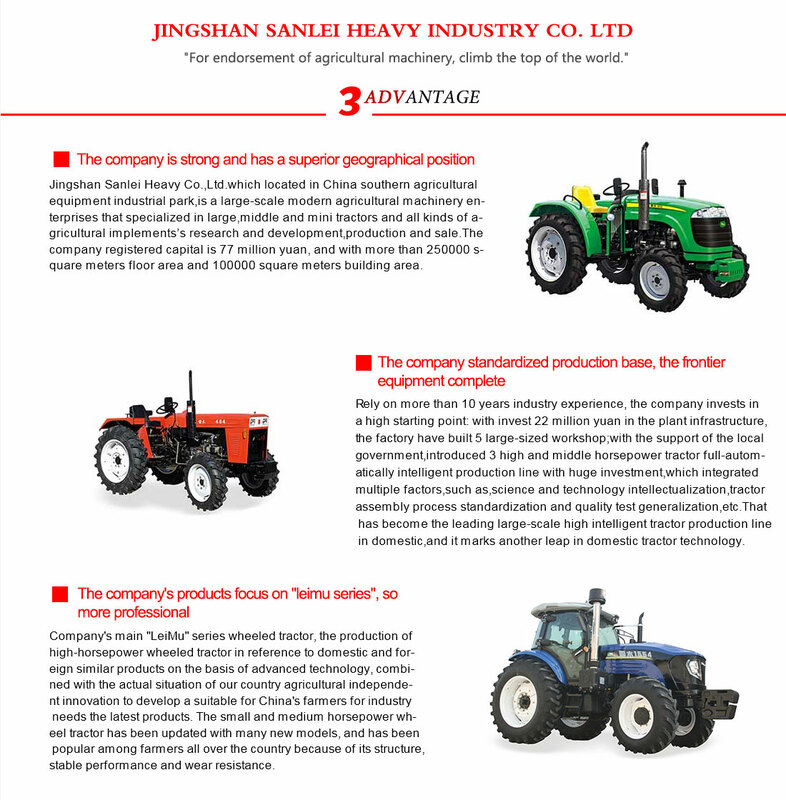 Jingshan Sanlei Heavy Industry Co.,Ltd.which located in China southern agricultural equipment industrial park,is a large-scale modern agricultural, machinery enterprises that specialized in large,middle and mini tractors and all kinds of agricultural implements’s research and development,production and sale.